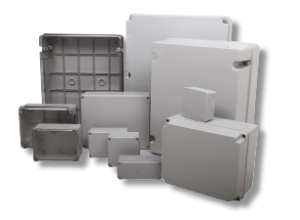 CE-TEK’s GR range is a fantastic low cost, halogen free ABS polymer enclosure for housing electronic and electrical equipment. The GR range is strong and light and with an IP65 rating is popular with electricians, OEM’s, computer network and electronic engineers, industrial control engineers and hobbyists. GR enclosures are available, with opaque and transparent lids, from stock in over 40 popular sizes. 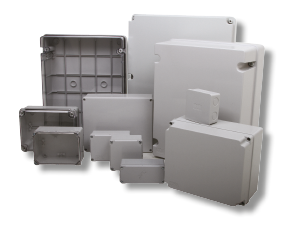 GR enclosures are available with screw down opaque or transparent lids. Optional extras include: wall fixing brackets, DIN rails and mounting plates, hinges (for larger sizes only).